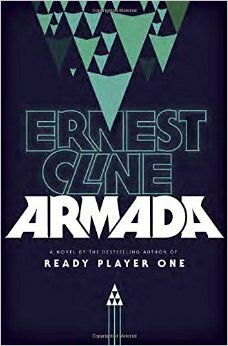 It’s inevitable that Armada will be compared to Ready Player One. It’s Ernest Cline’s follow-up to that novel, it’s also about video games, it’s also liberally peppered with 80s references, it’s also about a young male protagonist coming of age. So here’s my comparison: it’s not as good as Ready Player One. Now that the obligatory comparison is out of the way: Armada is one heck of a novel. I don’t want to say a word about the plot because the less you know going in, the better. Just know that it will give every SF trope in the book a turn in the spotlight, either to celebrate its greatness or to completely deconstruct it. And though the ending felt rushed, it was every bit as epic as the build-up to it demanded that it be. I really loved this book. Highly recommended. Now I’m off to reconstruct and listen to Zack’s “Raid the Arcade” playlist.